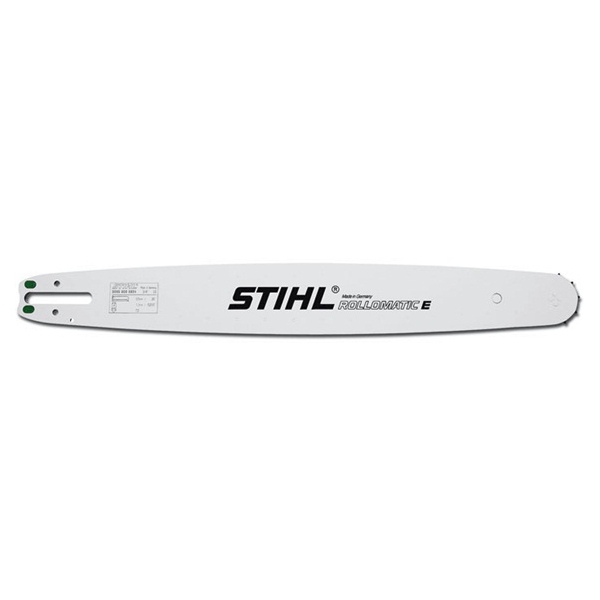 STIHL's Rollomatic E guide bar, ideal for replacing your existing bar. This bar utilises three electrically welded metal plates where the central plate is hollowed out extensively, resulting in weight savings and stable control during operation. It is ideal for use with STIHL models 026, 029, 034, 036, 038, 039, MS260, MS280, MS290, MS310, MS341, MS360, MS361, MS390 and suitable for a 60 link 3/8" 063 1.6 mm chain. Please feel free to contact us before ordering if in doubt. 026, 029, 034, 036, 038, 039, MS260, MS280, MS290, MS310, MS341, MS360, MS361, MS390. Suitable for a 60 link 3/8 inch 063 1.6 mm chain.